The SAM 15×15 is one of the smallest boards I’ve seen to date. And while it may be small, it’s quite powerful. The board is based off the Arduino Zero and the SAMD21G18. The SAMD21 chip is super fast, running off C++ with Arduino software, and offers more I/O pinouts than the Zero (34 instead of 21). This board is perfect for small embedded projects, such as drones or even sophisticated wearables. The board comes in three sizes, and the 15×15 is the smallest of the three. The SAMD21 on the larger boards only comes as an SMD whereas the 15×15 chip is a pin version, which makes it more versatile in replacing the chip if needed. The pinout configuration is straightforward, mimicking its larger sister boards as well as corresponding with the Arduino Zero. The extra I/O pins offer more functionality and are logically placed. You will need to use 1.27mm headers due to the teeny size and layout. I also recommend using a 1.27mm breadboard. The SAM 15×15 isn’t widely known yet. The creator, Albert Von Dalen, offers an in-depth and thorough support platform and quick start guide for people interested in learning and developing more with the SAMD21. The board comes with a USB pin header that you will have to solder for power. You’ll also have the option to purchase the USB motherboard cable, which isn’t included. This board is impressive and fast for the size. 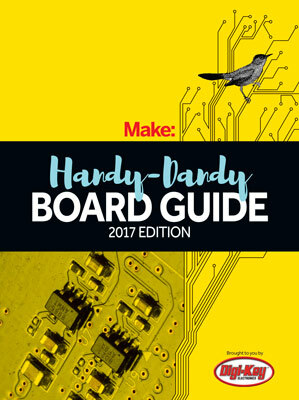 I highly recommend it for anyone looking to do small embedded projects that requires some power. This board is perfect for small embedded projects, such as drones or even sophisticated wearables.